Having a deck or a patio that’s looking ragged can be an embarrassment if you want to invite company over. If you feel it’s time for a deck restoration or a refinishing, consider these important steps that you must meet to successfully bring your patio back to a pristine condition. Inspection of your patio is important. 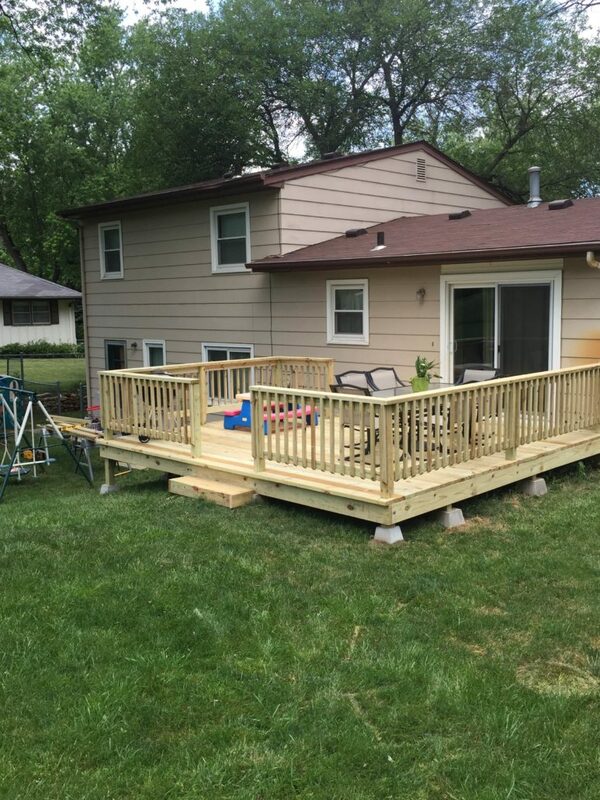 aside from just the cosmetic state of the deck, look at areas that connect with the ground, like stair stringers, posts or joists that are the level of the ground. Try poking the wood with a screwdriver. If it can sink into a post, rot is present. In addition, inspect where the deck meets your home. Look for rusted bolts and screws. And if you spot black stains on the wood, you may have a moisture problem that could hit your home. Before any deck restoration or refinishing can take place, it has to be cleaned thoroughly with a pressure washer. While a homeowner can rent a pressure washer and perform the task personally, the high pressure involved can be hazardous, especially for those who have never handled a pressure washer before. It is advisable to seek out the services of a professional patio restoration team to handle the washing. Limit yourself to simply clearing your patio and deck of furniture and all personal effects. You also don’t have to preserve your patio’s current color. Sometimes the sun can fade a patio’s existing shade, or you just prefer a new color. Look for a stain that complements your home and property. Generally, people prefer warm tones for their decks. You can also ask your contractor for suggestions. Whatever you choose, remember to have your patio sealed to protect it from the effects of soaking water. The result of your inspections will help your contractor understand what your patio or deck needs. Trust them to take the deck restoration process the rest of the way, and the next time you invite company over, you won’t be ashamed to let them on your patio.